Understanding Cocktails: Pedro's Trip to Mezcal Country! We love mezcal. 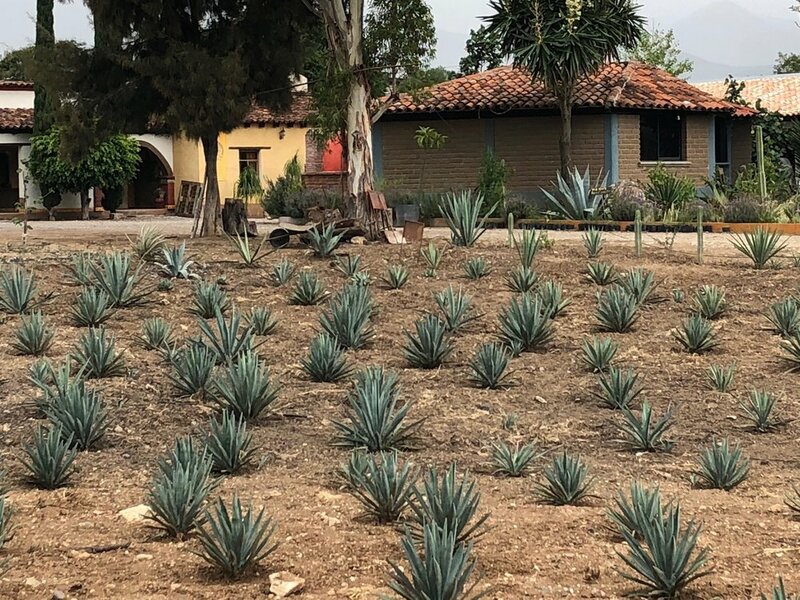 We’ve already written about it in relation to tequila, but with this post, we wanted to focus on the more cultural parts of mezcal production. As luck would have it, our co-founder, Pedro, just visited the birthplace of mezcal, Oaxaca. There he saw first hand the dedication and talent of the producers, and learned about the blessings and tensions created by the huge surge in demand for the smokey clear spirit from the heart of Mexico. Santiago Matatlan has the most “palenques” of any city in Mexico. Palenques are essentially to mezcal what a winery is to wine, the place where a plant is turned into an alcoholic beverage. Most of the producers he saw used very traditional method of grinding the agave using a horse powered mill. These millstones weigh at least half a ton, many much more than that! Recently, everyone wants mezcal, so a lot of these producers who’d only ever had to make enough for friends and family are now being asked to make enough to put on the shelves of shops like ours, thousands of miles away. While there’s been a lot of investment in helping them produce more, many also want to remain sustainable. As Pedro mentions above, mezcal is really hard to make. First of all, the plant itself such as Espadín takes 3-5 years to ripen and other agave such as Tobalá (12-18 years) and Jabalí can take 20-30 years to ripen. Once you harvest, you kill the plant. In addition, to make something fermentable from agave, you have to mill it. Once you mill it, then you roast it. It’s back breaking, but very rewarding, work. This is why each mezcal is so different, and why many are so hard to get. Most producers distill twice. After the first distillation, they remove the “head” (the first 20% or so) and “tail” (the last 10-15%) and redistill the “body.” To avoid waste, they use the head and tail for a variety of things, most commonly they mix it with fruits and sip on it as a dessert type of cordial. So how does all this pertain to cocktails? Sounds delicious, Pedro! Visit him at the shop and ask all about his recent trip. And make a little piece of Pedro’s trip at home. Pour some Sal de Chapulín onto a plate. Line the outside of the rim of the rocks glass with lime juice and roll the glass over the salt. Garnish with lime and set aside. Add mezcal, lime juice, orange juice, grenadine and ice into a bar glass and stir for 15 seconds. Carefully strain into rock glass and serve.